Although running is a year round activity, there’s no denying we’ve hit training season again. Our training plans for the Brighton half and full marathon have begun and it is the last training session before the Brookes 10k and the Spartan race. If you are starting out on the half or full marathon training, this is the key to your training. Do not be fooled into thinking it is all about our Sunday longer runs (however these sessions are just as important). Wednesdays sessions cover all the other elements required to prevent over training and injury. We will establish a suitable pace for every individual that will work you at a comfortably hard pace, to boost your endurance for longer runs. As always all abilities are welcome, whether you are running a race or you run for general fitness and please comment if you can make this session. Saturday 6th October. 8:00 am start. A Saturday run for all. That’s not a mistake in the day and time (yes, I know by error I jumped a month ahead in last weeks post!) Due to the Rise 8k and The Royal Parks Half Marathon, we are having our group run on the Saturday at an earlier time of 8am. Once again we are offering a range of distances. If you are following one of are training plans, we suggest you stick to the distance stated for this weekend. 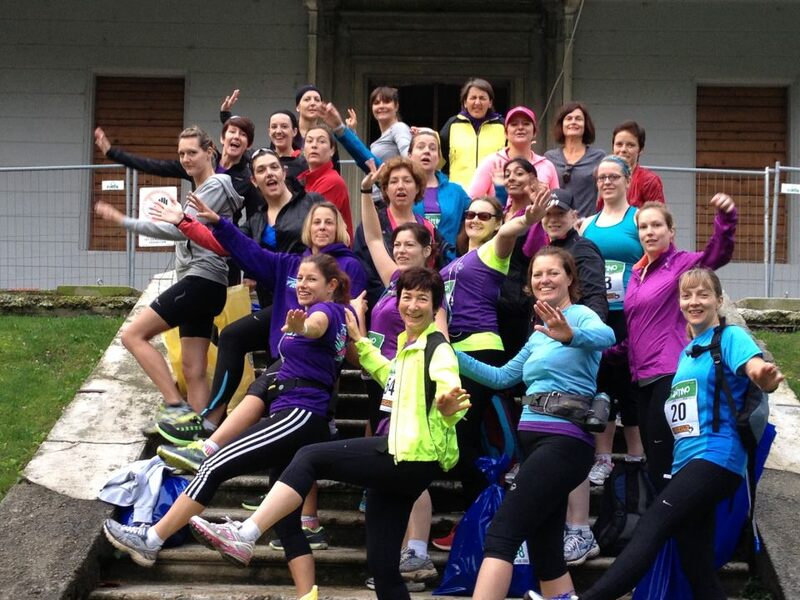 For Brooks 10k runners, the choice of distance is dependant on individual ability. This weeks run is an introduction to the glorious off-road routes, where the views of the sea appear over the fields. The shortest route is 4 miles, which will turn back at 2 miles and head back to Hove Park, which is everyone’s starting point. All distances start with an incline. But good news, it’s a great way to work on muscular strength as well as endurance. For those who opt for the 5 mile route, you will stay on the Downs for a loop which takes you back to the park from a different direction. If you decide to cut your run shorter at the half way point then you can do a there and back with the 4 mile runners. Or vice versa, if you feel that you are capable to go that extra mile then you can. As long as you inform our Running Ambassadors before switching. There is a 6 mile option which is the same off road route as the 5 miles, but adding on the distance by doing a wider lap round Hove. An 8 mile route will take you slightly further over the Downs before looping back into Hangleton. 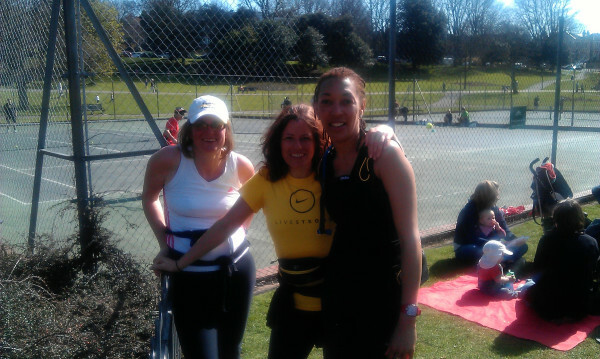 All routes end up back in Hove Park which is a convenient stop for coffee after the post run stretch. Meet: Top corner of Hove Park. Junction of Goldstone Crescent and Woodland Drive. Parking is free. It is important to comment if you are able to join us this week. Sunday run. Training on trails. Sunday 19th August. Finishing at the park cafe with big smiles. Coffee anyone? 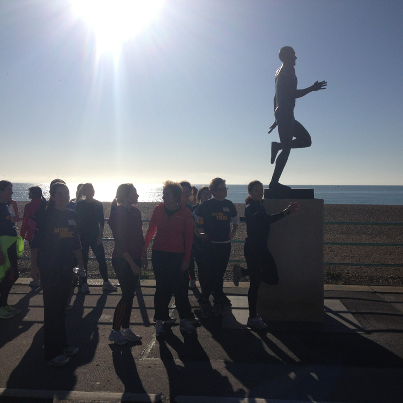 Sundays run will meet in Hove Park. 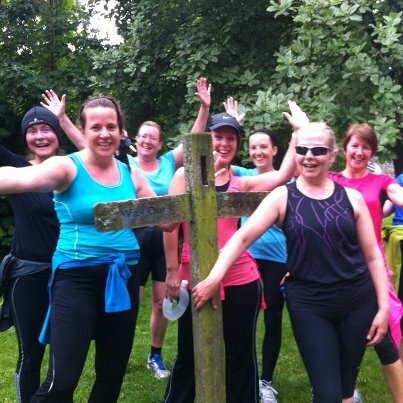 We offer a choice of distances to cater for our various training plans. Each distance will cover some off-road with a slight hill. Perfect for some conditioning work to recruit the muscles and ease the joints. 3 mile – a slight incline as you leave the park, turning at the top of a trail before heading back down into the park. If you wish to run shorter than 3 miles, you can walk through the park as a cool down. There will be a coach by the cafe ready to go over post run stretching. 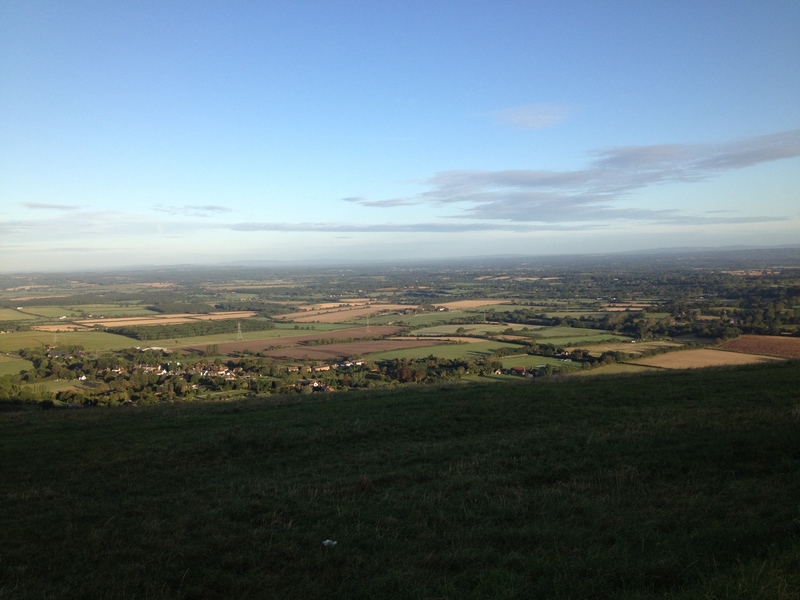 5 mile – as above but continuing along towards Devils Dyke before heading back. Again we will have a running coach to assist with stretches. 11 – 12 mile – starting out with the shorter distances then heading further towards the Dyke. This route will be a loop and ending up in the park. For 12 miles you will finish with a lap of the park. It is very important to comment so we know in advance how many coaches we need per distance. What we ask from you is that you arrive promptly to listen to a pre run brief, give contact details and make us aware of your distance and ability so we can try to pair you up with other runners and distribute our coaches and ambassadors to suit everyone. We now operate a policy where a running coach/ambassador will be at the finish point until our last runners come in. Every single runner will receive assistance with the post – run stretches. Coaches: Kate 07702983744, Melissa 07894146016. Ambassador: Mel L and Karen. Stanmer Park run. Sunday 20th May. Even in the rain, there’s always smiles. We may finally be blessed with some sunshine for our woodland run on Sunday. Stanmer Park is the perfect location to mix up the terrain and vary the distances. Friston Forest runners, this might be your first off road experience and I am certain you’ll be hooked. The scenery is stunning, making you feel completely out of the city. Hills and trail running are an excellent way to condition the muscles and give the joints a rest from the pavement pounding. For our shorter routes of 3 and 4 miles we have Tor our running ambassador who is always very motivating and has been there as a beginner to hill running not so long ago. I can’t guarantee you’ll be getting a piggy back but Tor will encourage and wait for every runner doing this distance. The longer route of 7.5 miles is going further towards Ditchling Beacon before back into the park. Both distances do have some flat road and downhill. See, we are considerate to you. If you can offer or require a lift then please mention it in your comment.